Howdy all, so, I'm fairly new to the game, I'll be celebrating my one year of TF2 next month, and in that time I've logged around 1300 hours. In those 1300 hours I have learned.....that I can't shoot my way out of a paper bag. I'm probably the one person in all of TF2 who can honestly say I am off-classing when I go Soldier or Demo XD. Now, why on earth would I still play if I'm so terrible at killing things? Because the one thing I'm good at is making sure YOU kill things for me. Maybe I can't aim a rocket, but I like to think I'm handy with my medigun. I've turned pub teams around just by going medic and reinvigorating them. They spend less time looking for health, and I spend less time dying. But pubbing is only so much fun by yourself, and my friends are somewhat burned out on TF2. I know comp is nothing like the pubs, and real comp is far beyond what Valve's attempts at comp is, but I want to give it a try. I want to get better, I'm tired of being the weakest link when I do get to play with my friends and I think this is the way to do it. TL;DR I'm bad at TF2 except as medic and I want to get better. I will use a Kritzkrieg upon request, but I don't use it too much outside of MVM due to the fact that I am a DEFENSIVE player rather than an Offensive player. Quick Fix is banned I believe, but in games where it is allowed I will use it if I'm dying a lot. I despise the Vaccinator, I am not good with it because I have yet to master chaining resistances and prioritizing them. I only have a Strange SKS one because I still run into hackers and I want to help my snipers countersnipe them out of the game. I'll use the Vac if you REALLY want me to, but I prefer stock. Also if I am dying more than you are, I will switch out my crossbow for my Strange SKS Blutsauger because the crossbow is terrible for protecting myself and I depend on my team to protect me. I also wear a Crone's Dome, a Daz Hazmattenhatten painted lime, and a Strange Medical Monarch in Style 1, I am a very distinctive medic so I am easy for my team to find, but snipers will find me just as easily. I literally JUST moved in with my mother in Iowa, and I am still unpacking. I will be incredibly busy during the day for the next few weeks but I do get free time at around 6:00 PM CDT, with 7 being the latest. I am also looking into getting work to help pay for bills and whatnot but that has not happened yet. I will let you know ahead of time what my work schedule is once I get a job. As I said before I am a defensive player. I do not fight, I do not overextend, and I WILL abandon you if you go too far ahead or I am one hit away from dying. I have a bit of tunnel vision, and focus mainly on watching your health so that I can pop at the right time. I am depending on you to keep nasty things away from me up in front, but I will alert you to spies as soon as I can. If my Ubercharge is at 0 and I am not inside spawn, it is a spy and you need to kill it. I have my automatic call for medic set to 80%. If you see me, do not grab a health kit or run back to spawn, I want to heal you to build up my uber faster, and I may need that medkit in the second you pick it up. I will not abandon the objective, even if I am alone I will stand on our point to keep the enemy from getting it for hopefully long enough until everyone else gets there. I will also try to go for a cap if I think it is worth it to do so. Even if I die trying to cap, that's still enough capture on it that the enemy is halted to protect it and the Scout can cap faster. I know this is comp and people here aren't ignorant free to plays, but for the love of Gaben, if you are ubered, don't waste it. Please focus on the sentry or clearing the area. My ubers are not retreat ubers if you are receiving it. I WILL refuse to uber you again and will prioritize the rest of the team for heals. Yes, even the Scout. /Had to say this because I have been running into this a lot. Scouts, if you need my help, get close enough and circle around me or my patient, I can't get a lock on you with the crossbow and I can't react fast enough to hit you with the medigun if you just run past me. 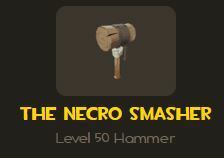 Oh, and Heavy? I...have a habit of Sandvich dodging. You might want to wait until there is less pressure before you spin down, I am trying to move erratically so I don't get killed too easily, but if I die I want to die knowing you took them down with me. My friends and I can't agree on whether or not I belong in Steel or Iron. I would like a Tryout so that we can see where I belong. I really, really want to go to a Highlander Team. The one thing Valve Comp has taught me is that I don't like being the slowest class in 6's. With the Quick-Fix banned I am nervous coming out of spawn because I have no idea where my team is when I finally get to the point. Edited by Catilena1890, 17 May 2016 - 04:59 AM. 85.7 hrs last 2 weeks. It's been fun, thanks for the ride. Oh well. All that is really nice. But you don't need to write essays. In competitive, most teams use some communication device like Mumble or TeamSpeak, so you don't have to explain whatever much... On paper. You tell them. Besides, they are expected to know how to play with their medic. Well, if you have never been into competitive, try starting in iron, then step up, you will see your progress as you improve. Too bad (almost) nobody looks on this forum. Try UGC's recruitment forum too.